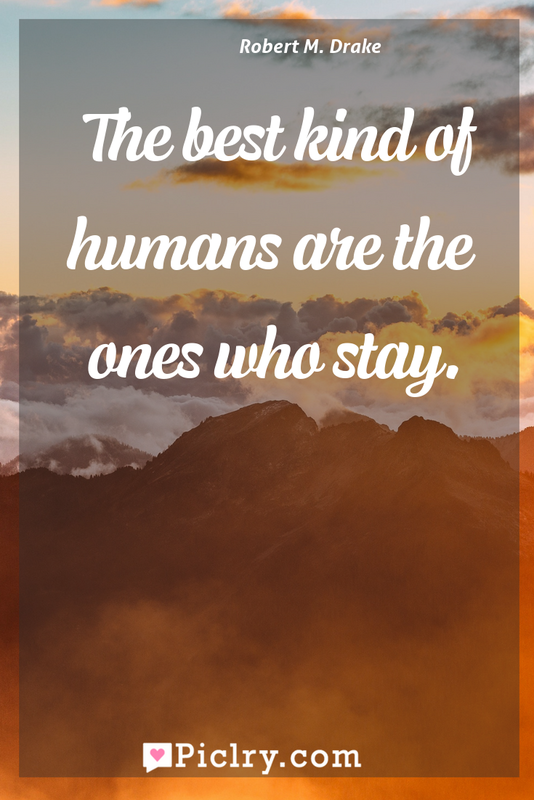 Meaning of The best kind of humans are the ones who stay. Meaning of The best kind of humans are the ones who stay. Quote by Robert M. Drake. If I lived a million lives, I would’ve felt a million feelings and I still would’ve fallen a million times for you.